This oil has incredible properties. It can basically save you from many diseases. It can be very beneficial to have it with you if you like traveling or you are often staying outside. Tea tree oil provides antibacterial and antiviral effect and helps to cope with yeast and fungal infections. It has strong inherent properties of the antibiotic and also stimulates and strengthens our immunity. In different countries around the world it is used a lot but in Australia this essential oil is literally used in each house. It can treat or prevent almost any inflammatory or bacterial disease. Here we will try to tell about best ways to use tea tree oil at home in order to improve health and beauty. We will also talk about storage tips and contraindications of this incredible tool. What if you start getting sick but there is no chance to run to visit doctor today. There are plenty of situations when we get sick and just buy in pharmacy some medication which helped us last time we were sick. Tea tree oil will cure runny nose and cough, infectious and viral diseases: bronchitis, sinusitis, laryngitis, flu and even sore throat. Buy this small bottle of oil and always have it at home in case of sickness. Tea tree oil has soothing and expectorant properties and helps cleansing mucus from the respiratory tract. 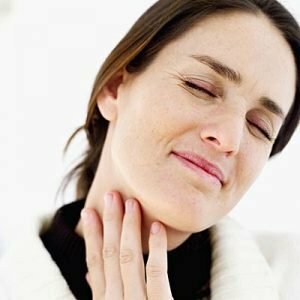 One of the easiest way to cope first symptoms of throat disease is inhalation. Add just 1-2 drops of oil. Keep hot steam for longer by having towel above your head. 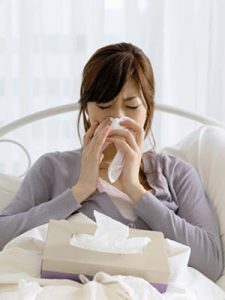 If you have bronchitis prepare quick and simple compress with tea tree oil. In order to cure lung diseases take 2 teaspoons of slightly warm vegetable oil (olive oil or any other which you have at home) with not more than 2 drops of tea tree oil. Take gauze and soak it in this oils mixture. Avoid heart area and implement this compress on your chest. Cover your chest with polyethylene and above it put some scarf. Leave compress on your body for around 30 minutes. When you have tonsillitis or throat pain add 2 drops of oil into a glass of warm water, mix well and you for gargling few times a day. Doctors recommend also to use other mixture for gargling: half spoon of baking soda with 2 drops of essential oil dissolved in the glass of warm water. Advice: Do not use this oil at all if you are breastfeeding, pregnant or for kids younger than 7 years old. How annoying is to realize that list of medications we consume during cold has extremely long list of side effects. If nature is providing us with such powerful tool as tea tree oil (which can kill bacteria exactly where we implement it) we should definitely use it. If you start feeling sick prepare warm bath and add a glass of milk with 5 drops of oil. Enjoy your bath for 15 minutes. Water shouldn’t be too hot (36-37 C is perfect temperature for this procedure). After the procedure skin should be gently wiped with soft towel. Additionally you can “turn on” your immunity by applying pure tea tree oil on special spots of your body: temples, under knees and on both wrists. Advice: Try bath with tea tree oil if you have skin problems. Dermatitis, eczema or any inflammation will look better after such procedures. Buy real essential oil. Better buy in pharmacy or shop which you trust. One relatively cheap bottle of essential oil will last you very long and will improve your skin. Skin will look much healthier and fresher than after any beauty salon treatments. This product has so many elements which are beneficial for skin that it should be in every bathroom. If you struggle with acne or other inflammatory skin disease try this tool. Any rashes or pimples can be treated by tea tree oil. Even spots left after acne can be significantly decreased. The easiest way to use is just to apply on inflamed areas with cotton swab. Do not expect inflammation to disappear immediately. But tea tree oil will cure your inflammation after continuous use. 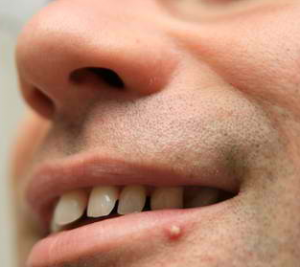 After at least 4 days of everyday use your pimples will reduce in size and become less visible. Advise: Use the tea tree oil solution (12 drops for glass of water) with cotton swab. This regular treatment will help a lot if you have oily skin. Tea tree oil is very powerful remedy for teeth and mouth in general. If you will learn how to use tea tree oil for mouth you can basically treat almost any inflammation of the gums, remove tartar and get rid of bad breath. Bad breath is common problem created by bacteria that is why tea tree oil will solve it easily. If you will use this oil you can also eliminate bleeding gums problem. Gums will become stronger and healthier. Basically you do not need to devote a lot of time and effort. Do this every morning when you brush your teeth. Brush teeth with your usual toothpaste. Rinse your toothbrush very well. Apply 2 drops of essential oil on your toothbrush. Gently brush all your teeth, try to get into all the corners. Rinse your mouth and toothbrush very well. You will notice how smooth your teeth are immediately after first procedure. Feel with your tongue how clean your teeth are now. First 7 days use this procedure every day and then reduce quantity to 2 procedures per week. You can also heal your gums using simple rinse with this essential oil. Recipe is very simple: just dissolve 1-2 drops of tea tree oil in glass of warm water. Rinse mouth 2-3 times a day. If you have a numb tongue just wait and feeling will disappear. If the taste of oil stays in the mouth after rinse prepare weak baking soda solution with water and rinse your mouth. Taste will disappear immediately. Such simple rinse will prevent tartar and plaque. 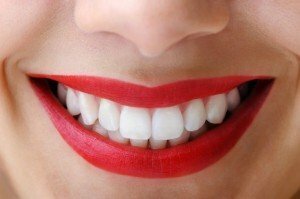 This trick is so simple but extremely beneficial for teeth. Advise: Use tea tree oil for whitening. You might notice that your teeth will get lighter in a week. However they might not get significantly bright. It all depends on your natural teeth color. Tea tree oil is absolutely harmless to the body. This oil is incomparable to other essential oils because of the amount of micronutrients and active substances. After centuries of use nowadays we know almost all benefits of this oil. It is proven that this oil can improve and speed up the process of curing cold sore. How embarrassing it is to have cold sore when you need to look incredible on the meeting tomorrow. Try this oil and you will be surprised as cold sore will get dry and disappear quicker than ever. In order to cure cold sore and stop it progression it is very important to start implementing oil on the very early stage of the disease. Even with very visible cold sore this remedy will help to dry it. Apply oil (1 drop on the cold sore with finger) few times a day. You can dilute oil with some water if you have burning feeling when you apply it. Advise: As oil is applied on the skin you should always check how your body responses to it. Apply 1 drop on your wrist and observe the reaction. If in an hour you do not have reaction go ahead with using it. This essential oil is known as powerful antifungal remedy. Good to know this fact but even better is to know how to use it in order to get rid of fungus on feet. Most important before starting treatment make sure that you buy 100% pure tea tree oil. Always read the description on the bottle. Today you can find 40% tea tree oil in some beauty shops. Real oil will be sold in small bottle (around 10 ml) made from dark glass. Start your therapy against fungus with soaking feet in bowl of warm water with 5-7 drops of oil. This will help to prepare your feet for further procedures and also will help with sweating. Dry feet properly and implement few drops directly on infected nails. If you notice that oil irritates your skin dilute it with some sunflower oil. However skin of an adult on the feet usually reacts normally. Implement oil with cotton swab on infected nail and area around it. Give oil some time to get absorbed. Do not wipe excess oil from the fingers. Repeat all the steps twice a day for at least 2 month in a row. If you do not have enough time for soaking fingers in the water you can sometimes skip this step but you should regularly apply oil directly on the fungus. Make this procedure part of your everyday routine. However if you enjoy having different procedures for feet you should definitely have some diversity of them. You can dissolve in a bowl spoon of honey, salt and shower gel and add 7-9 drops of tea tree oil. Other quick procedure is steaming feet in hot water with 20 drops of oil. Make this procedure a bit longer (15-20 minutes) and all the time add hot water. After such steaming very gently remove with scissors parts of nail fungus. 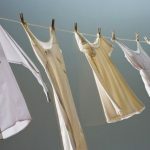 The fungus will be killed rather quickly but it can return again through the shoes, floor, bed sheets and towels. Make sure that the infection is eliminated from everywhere. Instead of the damaged nail your nail will grow again healthy. Unfortunately it may take about a year until the healthy nail will grow completely. 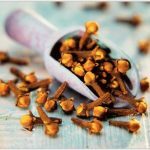 You will notice that with implementation of this essential oil the general condition of the nails improves week after week. During antifungal therapy you should reduce the consumption of sweets. It is perfect time to change your diet and your fight with fungus will finish faster. Advise: If you have severe fungus on the feet after bath rub your feet with mixture of 50 ml of ethanol and 50 drops of tea tree oil. 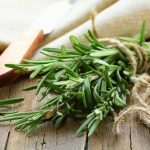 Tea tree oil is extremely effective when we need to treat burns, bites of insects, wounds, splinters and even eczema. 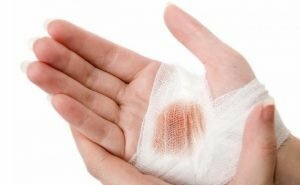 All types of wounds especially purulent wounds can be treated with this remedy. Wash the spot with ice water for 1-2 minutes. Apply few drops of tea tree oil and with gentle massage movements let it get absorbed. Repeat procedure 2 times a day. This treatment will prevent infection. If you have severe reaction to some poisonous plant you can also treat spot with this essential oil. Mix 1 part of this oil with 10 parts of olive oil and massage the area of burn. Advise: Keep this essential oil out of reach of children and pets. As we already discussed this essential oil helps a lot with inflammation. That is why it can bring relive from pain in inflamed or tired muscles. Prepare bath with 8 drops of oil. 15 minutes of warm bath will give a relief better than 8 hours of sleep or whole hour of massage. Make sure your diet is balanced. Have a glass of water with pinch of backing soda before gym. 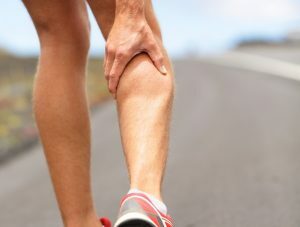 If you are struggling with pain in joints and muscles you can prepare mixture of 10 ml base oil (olive or almond is perfect base oil) and 5-6 drops of tea tree oil. Rub the mixture into areas in which you feel discomfort. Advise: Use compress for inflamed muscles. 1 liter of water and 5 drops of oil. Soak towel and apply on the muscle. We all hate when trash bin stinks. How embarrassing it is to struggle with bucket which smells immediately next day after you washed it. The problem is bacteria which is growing inside your trash bin. First of all always use a plastic bag for trash and second of all try tea tree oil remedy. If you will today try this deodorant for your trash bin than tomorrow you will forget you even had this problem. We will need: 15 drops of oil and 2 tablespoons of baking soda. Using fork mix ingredients well. Put the paste in the bucket under the plastic bag. If tea tree oil is so powerful deodorant it can be even used for us. This essential oil destroys bacteria and decomposes sweat thus unpleasant odor disappears immediately. The recipe of natural deodorant is very simple: few drops of tea tree oil mix in the water and wipe skin with a cotton swab or gauze. Advise: Dissolve 3-4 drops of tea tree oil in 200 ml of warm water and spray it all over your apartment. Your home will smell like fresh and pleasant resort.